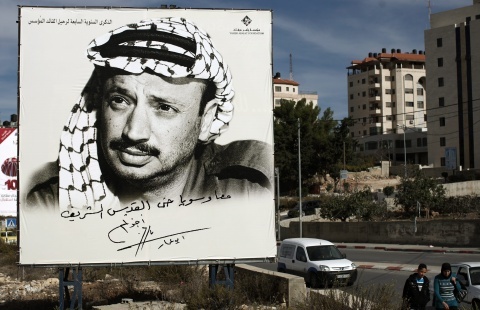 The Town Scryer: Arafat Assassinated With Radioactive Isotopes? "I can confirm to you that we measured an unexplained, elevated amount of unsupported polonium-210 in the belongings of Mr Arafat that contained stains of biological fluids," François Bochud, director of the Lausanne institute, said in the documentary. Polonium is a very rare element which, although it can be found in small quantities in phosphate fertilizer, requires a very sophisticated lab to produce. The production is almost entirely done by national governments. 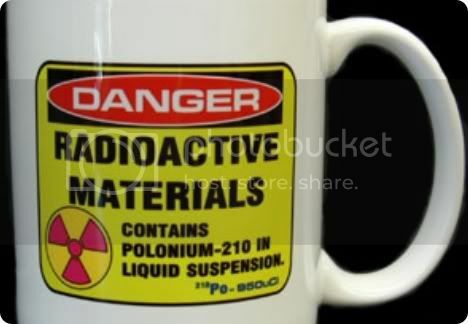 While polonium is a vigorous emitter of alpha particles, it does not emit gamma radiation. Alpha particles are not capable of penetrating very far beyond the skin and alpha emitters generally have to be ingested to cause death. For more, including a link to the Al Jazeera video, see rawstory.